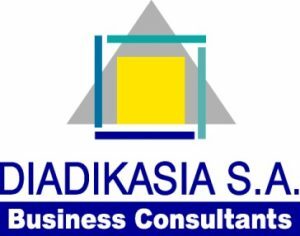 Diadikasia Business Consultants S.A. was established in 1995 and its mission is to provide premium quality services and contribute in a constructive way to customers’ development efforts. By providing high standard integrated services to public sector – local authorities organizations and private enterprises, Diadikasia became one of the largest Management Consulting firms in Greece, with more than 100 employees. DIADIKASIA Business Consultants S.A. is in close partnership with a number of credible academic institutions, research centres and organizations in Greece and abroad and has been successful at developing and exploiting projects related to SMEs and private sector development and reform projects. Among the support services to SMEs, DIADIKASIA S.A. implements a series of Completeness, Quality, Accuracy of Assumptions and Forecasts, Alternative Scenarios and Stress Tests in order to ensure their optimal business activities.